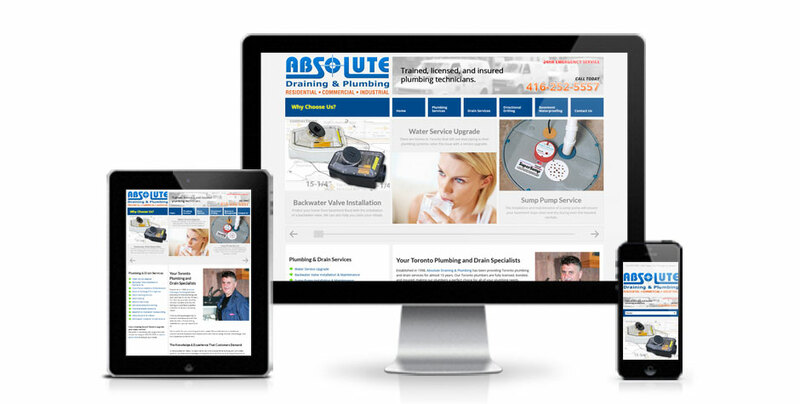 Absolute Draining & Plumbing was in need of a new website to bring them up to date. 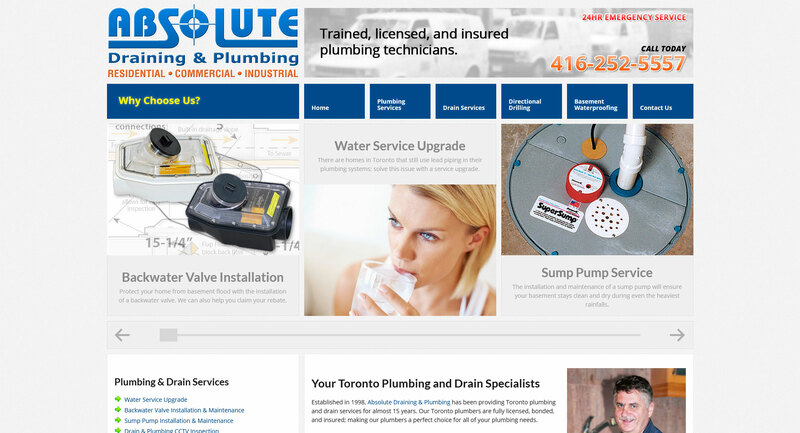 The final product features a responsive design, media rich content, and a blog covering DIY and related plumbing topics. 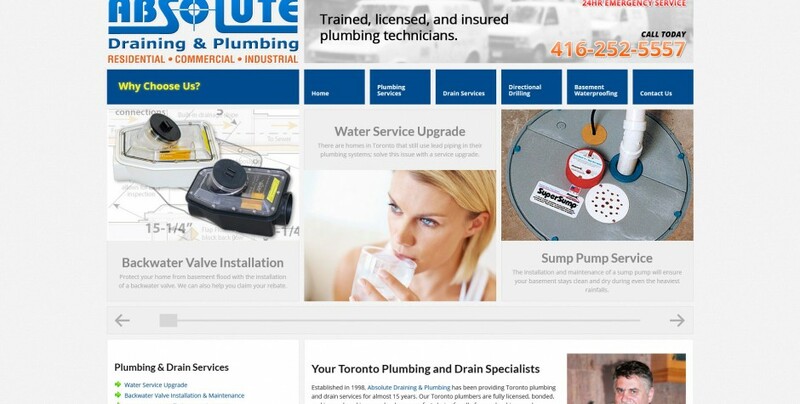 This website allows their customers to access their services on a wide variety of devices; desktop, smartphone, or tablet 24 hours a day.